This is "Advanced/Code/Debug information" page in EurekaLog project's options. 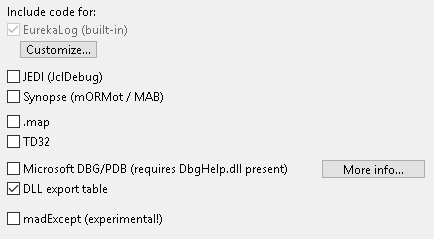 Each option includes code for specific debug information providers (i.e. Pascal unit). You can change these options to include more providers in your application. Note: support for madExcept is experimental.